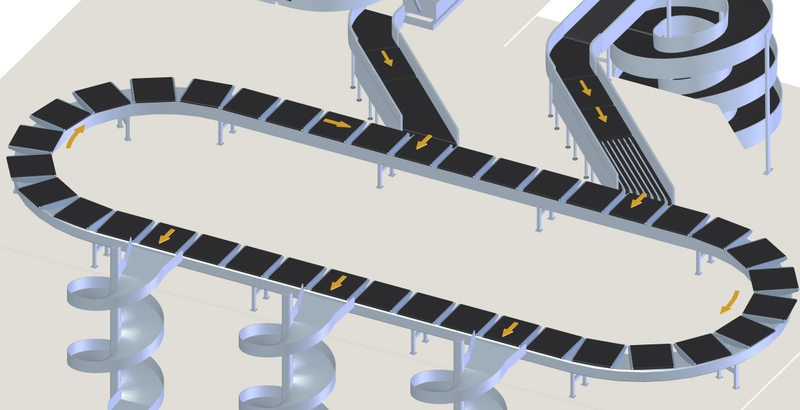 Actual airports and process configurations could vary, but our industry experts know them all. 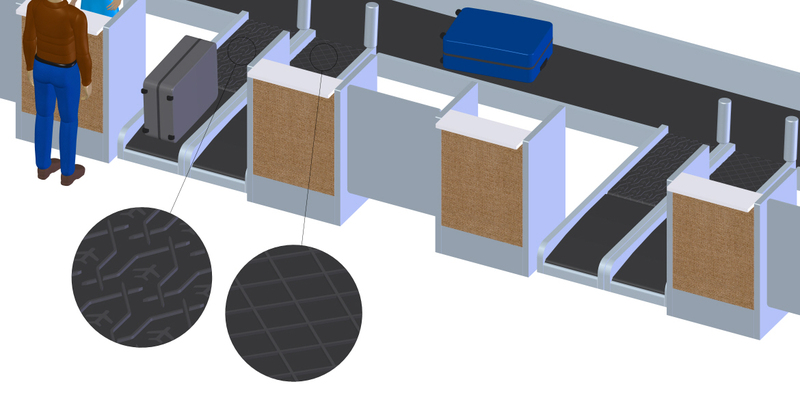 Ammeraal Beltech Check-in Belts are used in departure areas of airports around the world. 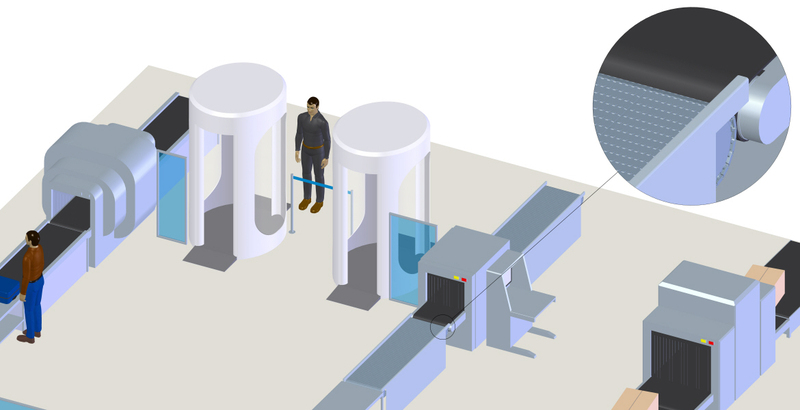 Check-in and weighing systems require special properties. Our belts have profiles especially suited for the transport of roller suitcases. 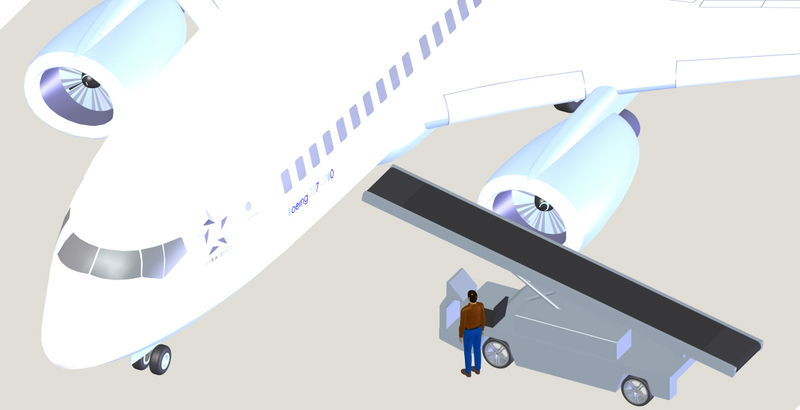 One of the most vital steps in airport and aviation safety. Pre-departure security check, baggage screening and explosive detection systems are of paramount importance. 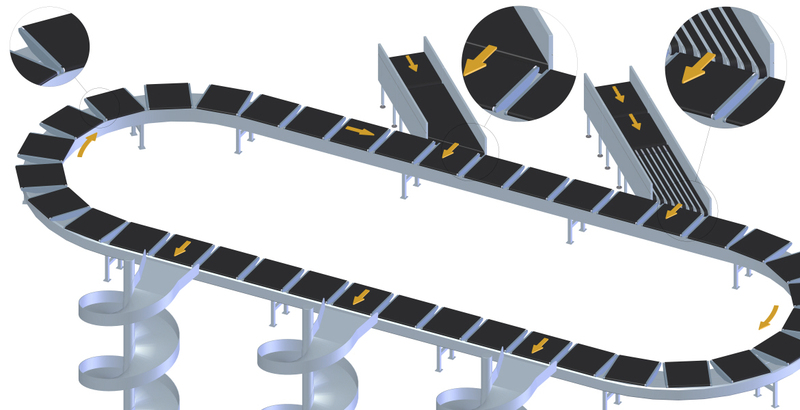 Baggage sorting involves high speed conveyors equipped with cross-belt and tilt-tray sorters to minimize transfer times. 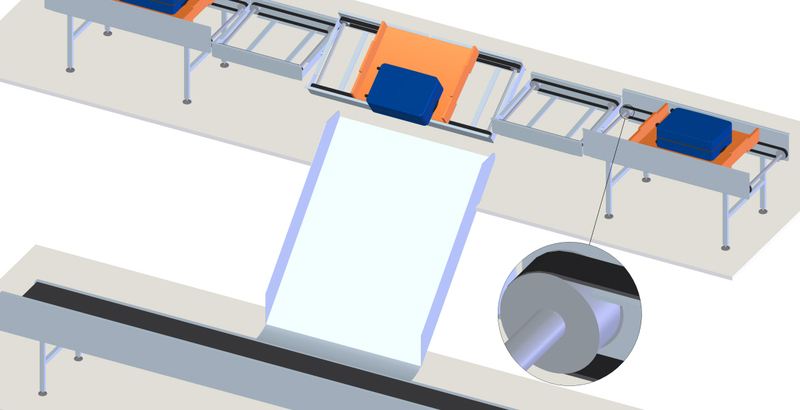 Ammeraal Beltech offers innovative solutions for intelligent sorting and tray sorting systems. Ammeraal Beltech quality ensures maximum service life. Pullers, pushers, merging facilities - all of these processes require belts that have special coatings to guarantee the firmest possible grip and smooth transport of luggage. 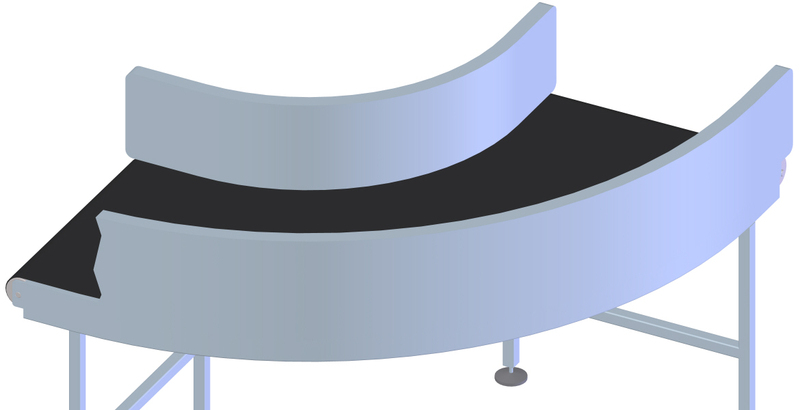 Curved Belts must be able to handle heavy loads and transport luggage smoothly. 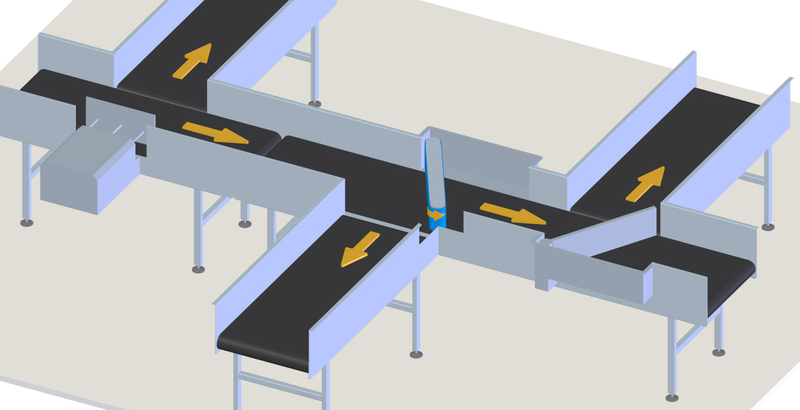 Merge Conveyors are designed to queue baggage within a system, precisely adding bags from one conveyor line to another at high rates of speed. 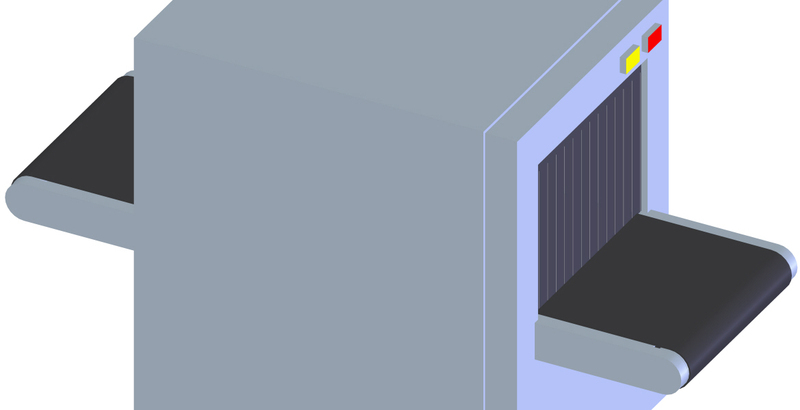 A critical step performed in varying, often extreme weather conditions. 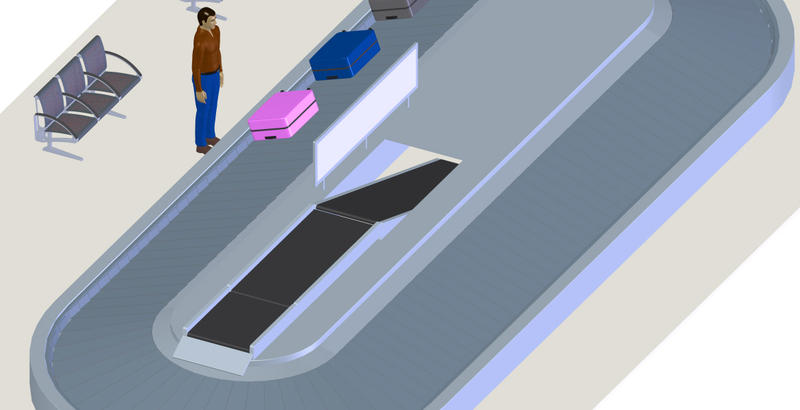 The final stage of the Baggage Handling System journey - baggage is delivered to passengers.